It is common to use Google Custom Search for WordPress Site because of its speed, search algorithm, trustability, security, no need of server resources and database load for indexing..etc. This post will explain how to add Google Custom Search in your WordPress or PHP site without any plugin. 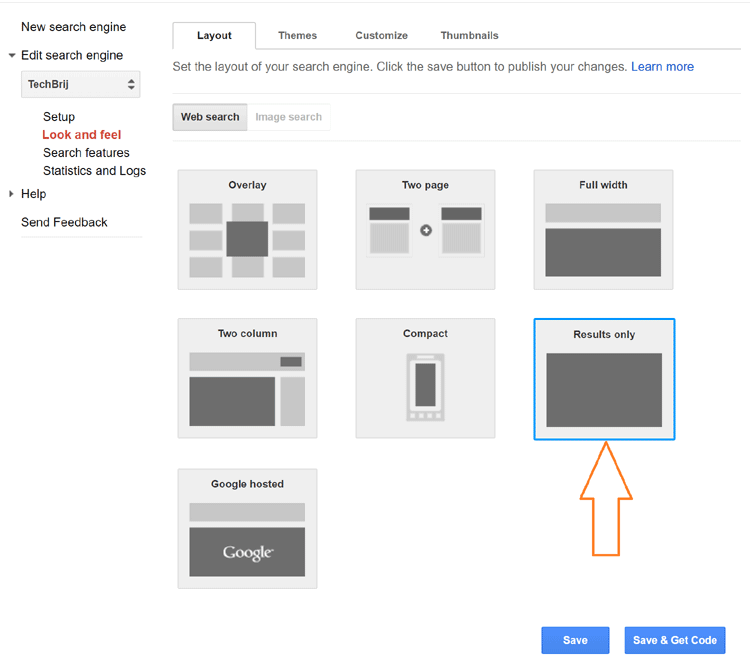 Login Google Custom Search and add a new search engine. It affects PageSpeed score and page load time for all pages. 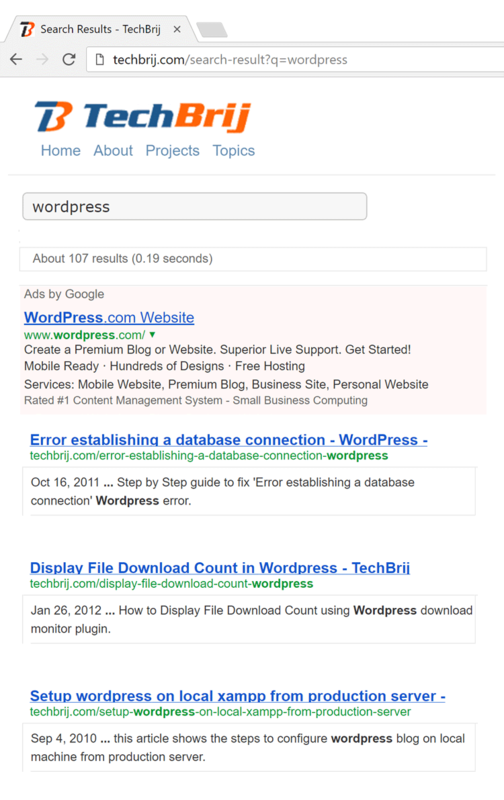 On WordPress or PHP website, create a page (say https://techbrij.com/search-result) and paste the CSE code where you want to show search results. You can easily set look and feel and customize it as your choice. That’s it. Now search it and test it. Google CSE script fetches search keyword from querystring and displays search results. In this post, we added Google custom search to WordPress/PHP site considering Google PageSpeed and site performance. Enjoy Google Custom Search !! Thank you! Works just great.